Print and fill out this form to enter your photos into the Teen Photography Show! To open the form for printing, Click here. We added a security certificate to our website to make it more secure which has caused confusion with our website address. The address that works is https://davidahowelibrary.org. Old Bookmarks or Favorites (with www.) should be changed to the new address. Nic Gunning and Eric Mikols host the official David A. Howe Public Library Podcast! 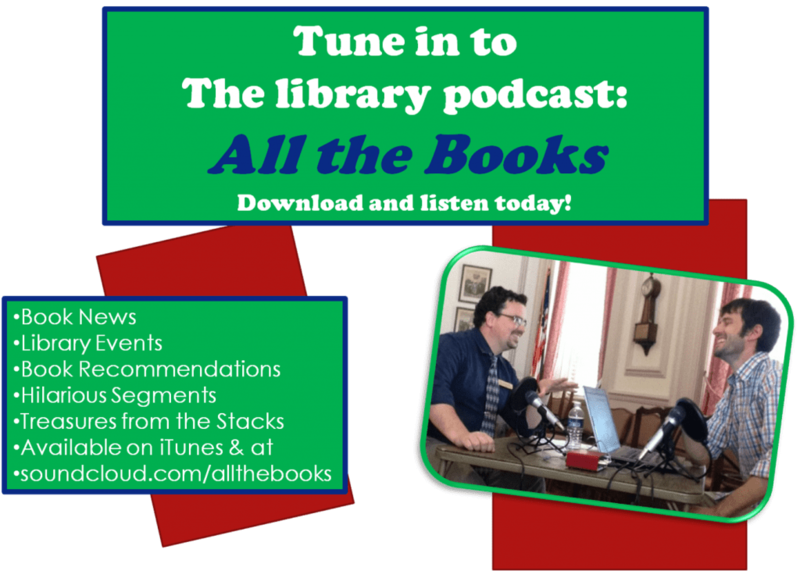 Listen for book news, great segments and library events! You can listen and download from Soundcloud, iTunes or Youtube!